I know Christmas hasn’t hit yet but believe it or not New Year’s Day is also just around the corner. 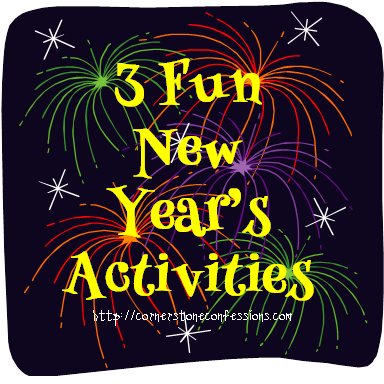 As such here are 3 New Year’s Eve Activities in which you can celebrate with your kids and still begin the New Year with BANG! #1 Make New Year’s Eve Countdown Sacks! This is probably our favorite activity to do every year. Team it up with a Glow-in-the-Dark Bubble Bath, Flashlight Tag, and an annual questionnaire and my kids are sold. 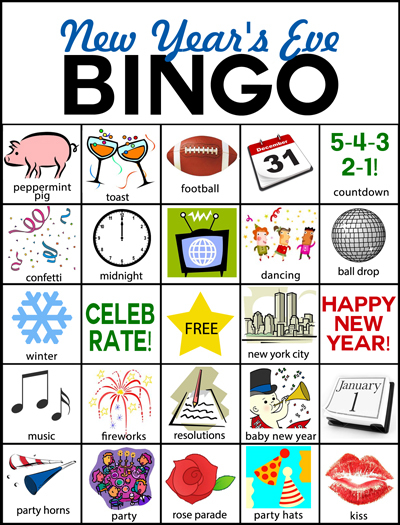 Such as this New Year’s Eve BINGO Game available on Plucky Momo or These Minute To Win It Games on Happy Home Fairy. Such as this one on Uncommon Designs. Love it! So what are you going to do this New Year’s Eve? Have any big plans? I’d love to hear them!